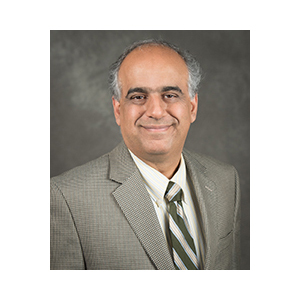 The SCRMC would like to recognize faculty member Peiman Hematti, M.D., who is participating in shaping the future of cell therapy at the national and international levels in several capacities. This November, Dr. Hematti was appointed co-chair of the Autoimmune Diseases and Cellular Therapy Working Committee for the Center for International Blood and Marrow Transplant Research. CIBMTR® is a research collaboration between the National Marrow Donor Program® (NMDP)/Be The Match® and the Medical College of Wisconsin. CIBMTR’s working committees ensure that the organization’s resources address the needs and priorities of the scientific and medical community it serves. They allow members of the hematopoietic cell transplantation community to provide broad input into the design and execution of its research. Chairs are responsible for facilitating high-quality and productive research, contributing expertise to study design processes, encouraging junior investigators and establishing the research agenda. Dr. Hematti’s five-year term with CIBMTR starts March 1, 2018. Dr. Hematti is also a member of the Cellular Therapies Standards Committee of AABB,, an international association that works to advance transfusion medicine and cell therapies. He is also a steering committee member of the American Society for Blood and Marrow Transplantation Committee on Cellular Therapy. Dr. Hematti is a professor of medicine in the section of Hematology/Oncology, UW-Madison School of Medicine and Public Health. He is director of Clinical Hematopoietic Cell Processing Laboratory, and medical director of Hematopoietic Cell Collection facility at University of Wisconsin_Madison, overseeing bone marrow and stem cell collections, and clinical processing procedures for hematopoietic cell transplantation or other cellular therapy applications at UW-Madison Hospital and Clinics. See also Bridging the Gap: Peiman Hematti illuminates the challenges of translational research in cellular therapies. By Josh Knackert for the SCRMC Fall 2016 newsletter.